Serious Facebook business, eh Kyle? XD. 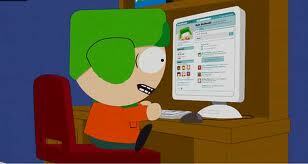 He looks very serious about Facebook.. Wallpaper and background images in the South Park club tagged: south park.